He’s baaaack! Genre fav/Horror Icon Robert Englund returns to his role as Freddy Krueger for a new documentary! Englund, after a near 14 year gap since he last geared-up as Freddy for a film (Freddy VS Jason), is set to star in the upcoming documentary, ‘Nightmares In The Makeup Chair’. During the documentary, Englund will pay tribute to the late great Wes Craven, while also sharing his own insight on the Elm Street series and on playing Freddy throughout the years. Englund last played Freddy back in 2003’s Freddy VS Jason. 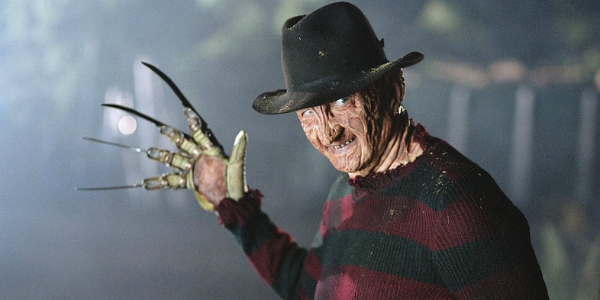 The icon was said to have washed his hand of starring in anymore Nightmare related films, especially after he was recast for 2010’s remake, when Jackie Earl Haley took on his famed role as Freddy. [It’s unknown whether Robert Englund will mention this during the documentary.] Englund will be getting his makeup applied by Robert Kurtzman for and during the film. NIGHTMARES IN THE MAKEUP CHAIR” will premiere at a Film Festival in 2017 (TBD). Distribution is pending. “NIGHTMARES” producer Mia Kerz promises that the release of the film will include Theatrical Roadshow engagements and a coffee table book detailing every step of the Robert Englund / Robert Kurtzman Freddy Krueger makeup process. I guess it goes without saying. DON’T. FALL. ASLEEP. Follow @HMZHorror and stay tuned, as I’m sure we’ll hear more about this soon.